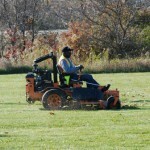 Each year, more and more landscaping professionals are teaming up with MLM Lifts and Manufacturing for products to help with productivity gains, whether in the shop or out in the field. The line of products available from MLM that are ideally suited for landscape contractors is growing. 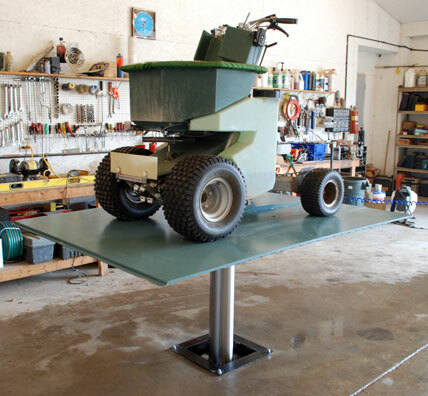 The first product line addition was SESM Lifts, which are perfect for every large landscape contractor with a shop that services their own equipment. SESM is the acronym for small equipment shop maintenance and no one excels at building this style of hydraulic lifts like MLM. If you want to speed up the efficiency in your shop—whether you are doing a quick clutch change out or need to move a heavy load in to the back of your truck, install an SESM lift in your shop today. 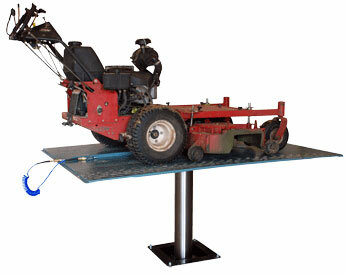 SESM lifts are available with a wide range of lifting platforms and structures. 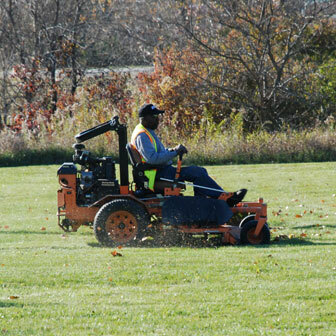 SESMs can be made to different stroke lengths and capacity requirements to match up with the equipment in your fleet. 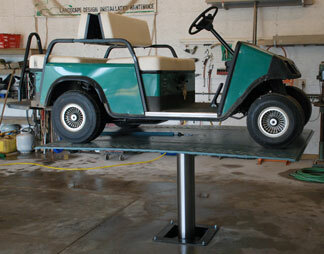 For Motorcycle lifts, check out our ML Series of SESM lifts. SESM lifts are perfect for Landscape Equipment, ATVs, Motorcycles, Golf Carts, Snowmobiles, Personal Watercraft, Small Engine Shops and More! 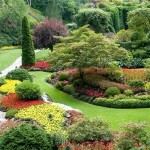 MLM encourages input and custom product requests unlike any other company out there. If you have any idea or want something special built, turn to MLM Lifts and Manufacturing for results and quick action. Put the MLM crew to work for you!